Israel Gaza Naval Blockade Eased | It's Only Natural To Resist. GAZA, Dec 13 (Reuters) – The horizon of the claustrophobic Gaza Strip stretches further out to sea after a bloody eight-day battle last month and its main market gleams with extra supplies of locally-caught fish. In a low-key move it has yet to acknowledge, Israel moved a naval blockade it imposed in 2009 back to six miles (10 km) from the Palestinian enclave’s coast from three on Nov 23, two days after signing an Egypt-brokered truce with Gaza’s Hamas rulers. Grouper, bream, bass, snapper and sardines teem deeper out to sea, and Gaza’s fishermen regularly tested the three mile limit, complaining the army would open fire, arrest them and confiscate their boats even when they were within it. That day, those who tried their luck at dawn returned unscathed with bumper catches before word came via Egypt that the blockade had been pulled back, the most unequivocal move to ease Israel’s stranglehold on Gaza to follow from the truce. Ayman Abu Haseera, selling newly-caught fish from plastic cartons in Gaza’s main market, said supplies had increased dramatically. “The situation is very much better,” he said, as other fishmongers held up prize catches to eager customers. Farmers have been able to till land near a buffer zone put off-limits by Israel for the first time for at least three years but say they are regularly fired on nevertheless and an easing of the trade blockade on Gaza has yet to take effect. While the fishermen’s lives have improved, they hope for a return to a 12-mile limit agreed in the Oslo peace accords in 1993 to secure their livelihoods and price out Egyptian imports. But indirect talks between Hamas and Israel in Cairo have stalled and political turmoil in Egypt hampers their resumption. Gaza has been under a land and sea blockade by Egypt and Israel since Hamas seized power there in 2007 and efforts by activists to access the enclave by sea have been met with Israeli force, most notably 2010 when Israeli forces killed nine Turks on a Gaza-bound aid ship, the Mavi Marmara. There are about 3,700 full-time fishermen in the Gaza Strip serving 1.7 million Palestinians. In less tense times, they used to export to Israel. Now Gaza imports about 80 percent of its fish from Israel and from Egypt via smuggling tunnels. “If they extend the distance to 12 miles we would rely only on our fish and stop all other imports,” fisherman Youssef Abu Watfa, 25, said confidently. The truce on Nov 21 ended an eight-day Israeli military campaign against Hamas and other Gaza-based militants firing rockets into Israel, a conflict which killed around 170 Palestinians and six Israelis, mostly civilians. Israel is keen to prevent the smuggling of weapons by sea and militant attacks on its soldiers patrolling the volatile frontier by land. Hamas, hoping to capitalize on the gains it says were achieved by its fighting prowess, urged farmers on border land and fishermen to avoid clashes and keep the peace. Israel has given initial approval to allow in long-contraband construction materials and heavy vehicles needed for infrastructure projects, a Palestinian official said of the Cairo talks in late November. An Egyptian official told Reuters Israel officially informed Cairo of its decision to allow fishermen the broader limit, though the Israeli Prime Minister’s office declined comment. Dangers still abound for those plying their trade on the blustery winter waves, as Israeli ships police the new line, confronting violators with gunfire, mostly in warning spurts, and water cannon. Since the November truce, local say Israel has detained 15 fishermen. An Israeli military spokeswoman said that on November 28, two boats were towed to the Israeli port of Ashdod up the coast after straying too far. A fisherman who asked not to be named said deeper water full of long-untouched fish stocks beyond the six mile limit tempted them further and some of the detainees had skipped the boundary. The four brothers and son of Murad Al-Hessi, of the local Fishermen Society, were among those detained for several hours. “They sent my brothers back in the water and other fishermen carried them back to shore while my son was taken to an Israeli seaport and later released by land to Gaza,” Hessi said, adding that the army had confiscated all the boats of those detained. The reward justifies the risk, the fishermen insist. Abu Mohammed, a 50-year-old father of five, has a small boat and ventures out to catch grouper off the troubled spit of Mediterranean coast. “I catch one or two and make my living for a few days,” he said, pointing at a thick specimen weighing in at eight kilograms. A kilo of grouper is sold for 50 shekels ($12.8) and prices remain high because even the initial bonanza of seafood was not enough to feed demand for Gaza’s favourite food. “It’s the sea giving us all that’s good,” Mohammed said. 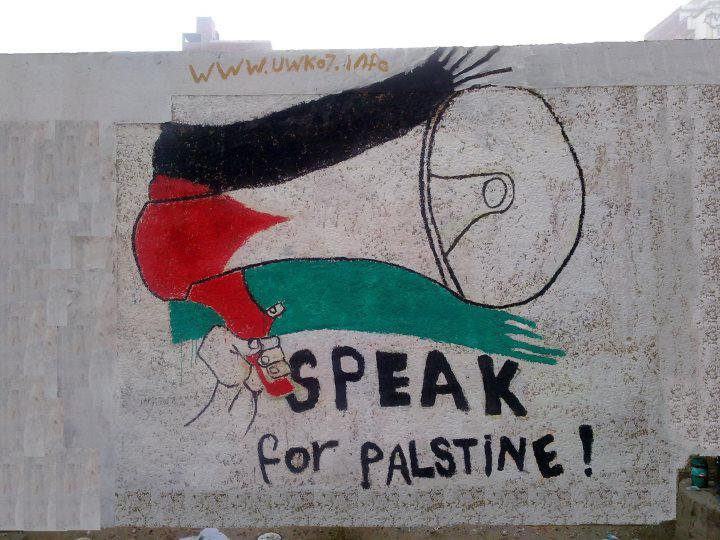 This entry was posted on December 14, 2012 by ispeak4palestine. It was filed under Articles on Palestine and was tagged with Fishermen, Fishing, Israel, Middle East, Palestine, Politics, War.